It’s possible to bring back the Syphon mechanics in a different way. 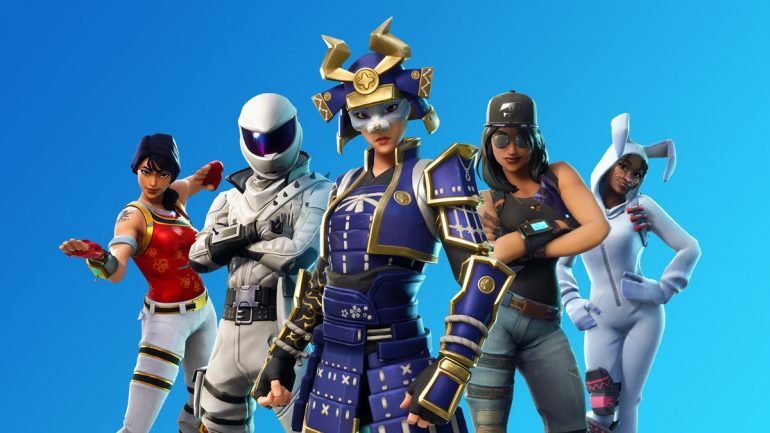 Gameplay changes made to Fortnite: Battle Royale’s core game modes in the v8.20 update are still causing controversy among players and professionals. Epic Games used that update to revert the v7.40 changes that introduced increased material harvesting, reduced material cap, bonus material upon elimination, and instant health regeneration upon player eliminations. These are also called Syphon mechanics. Epic wrote in the v8.20 patch notes that it reverted these changes “after monitoring a combination of gameplay, data, and feedback,” and that it concluded that “it has resulted in an unhealthy level of aggressive play, diminishing other viable strategies.” Now, Syphon mechanics are only available in competitive Solo and Duo modes like the Arena. Professional players and streamers like Tyler “Ninja” Blevins have criticized the company’s decision, saying it ruined the default Squads mode since aggressive players now can’t be as reckless they used to. It’s possible to see several players asking on social media for Epic to revert these changes and bring back the Syphon mechanics. It seems unlikely that Epic will revert this soon. After all, we’re talking about the company that let the overpowered Infinity Blade wreak havoc in one of its official tournaments. Assuming Epic is only willing to keep the gameplay mechanics as they are in v8.20, there are some other tweaks the company can make to also benefit aggressive players to a lesser extent in the future. Here are some ideas. Aggressive players used to recover 50 health or shield upon eliminating an opponent when Syphon mechanics were a thing, and now they no longer do. That means having 50 shield and 75 health is the best you can do after eliminating an opponent if you lack a Med Kit or a Shield Potion. If Epic lets players fully heal with Bandages instead of the current 75 health cap and let them fully regenerate shield with Small Shield Potions past the current 50 shield cap, aggressive players will have more health to make their plays without being punished too hard by weapons that would otherwise kill them in one shot. The reduction of the harvesting rate means players have to spend more time farming materials. That’s boring. If Epic prefers not to let players farm materials too easily, it can just increase the amount of material that floor stacks come with. These stacks are far from being players’ main source of material, so having them be two or three times bigger than now can help decrease the harvesting time without making it as small as it used to be before the changes. Fortnite players of all levels might have noticed that the moments with the highest number of eliminations in a match are the first and last few minutes. Amateur matches tend to have the most eliminations before the first storm circle starts closing in, while professional matches tend to have more in the last few circles. These are the moments when players are the most aggressive in a match, with the mid-game being a bit uneventful in general. Epic could enable the Syphon effect at the beginning of a match and disable it once the first storm circle starts closing. Then, it could be triggered a second and last time once only 25 players or so were left. That way, there would be windows in the early and late game where it’s safer to play aggressively and a mid-game window when passive plays are more rewarded. We’ve seen Epic turn unpopular mechanics into an item when the Glider Redeploy feature was turned into the Gliders consumable item a few patches later. Epic could do it again with the Syphon mechanics. There are several ways to do it. It could be an item like the Glider Redeploy, which players leave in a slot, and it lets them instantly recover 50 health upon their next five or 10 eliminations. It could also be based on time, in which case players would drink a potion that would give them the Syphon effect for the next minute or so. These are all ideas that could come together or individually to try to solve the current issue with aggressive plays no longer being rewarded in casual matches. It might still take a little while to learn if Epic will make similar changes to the game soon or if it’ll just listen to the influencers and bring Syphon back.